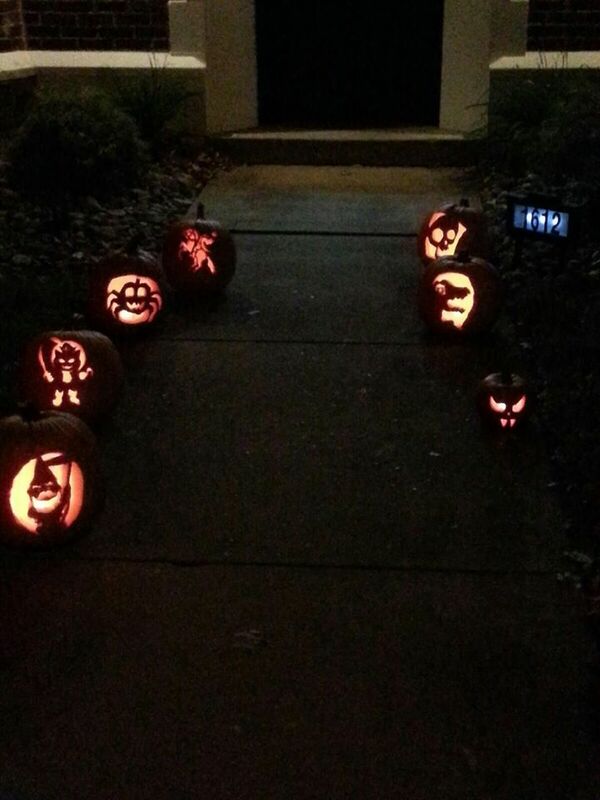 Every year I host a Halloween themed carving party to get together with my neighbors and carve pumpkins. 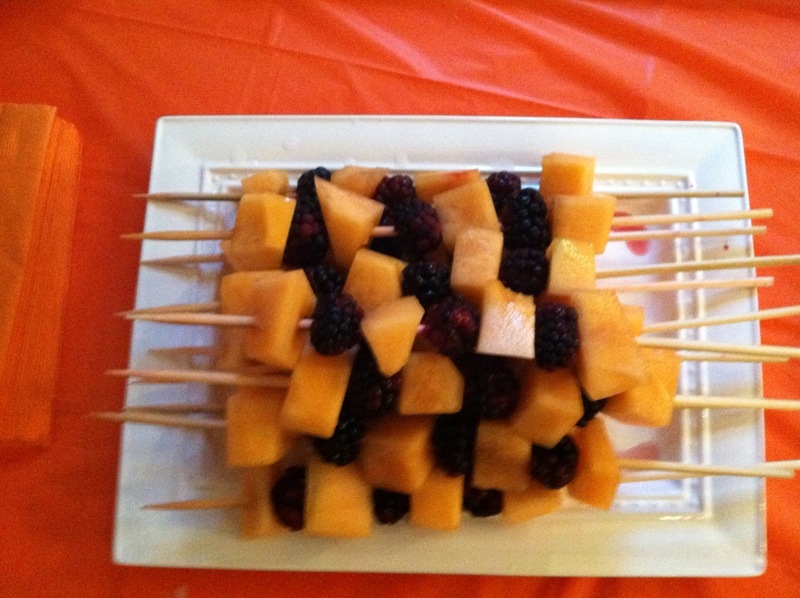 These treats and goodies were all very simple to make and really impressed the kids! 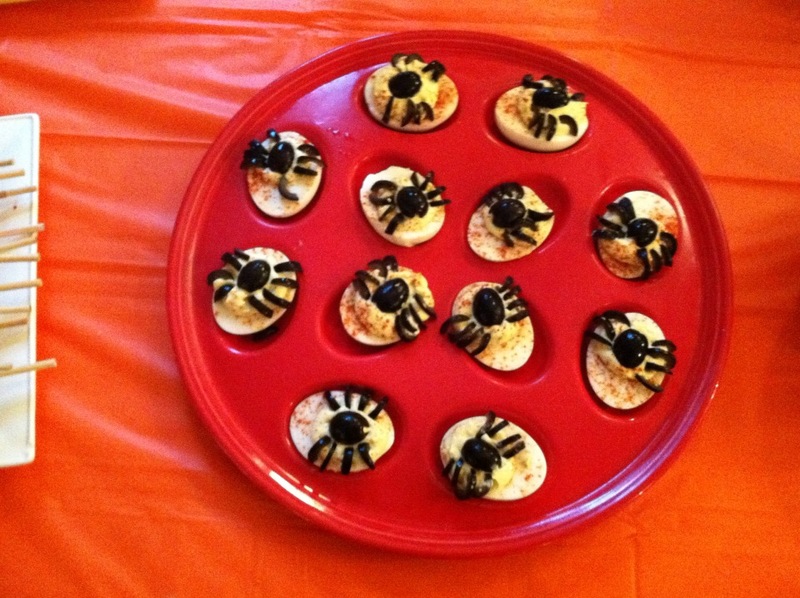 Slice olives to make your deviled eggs extra creepy! 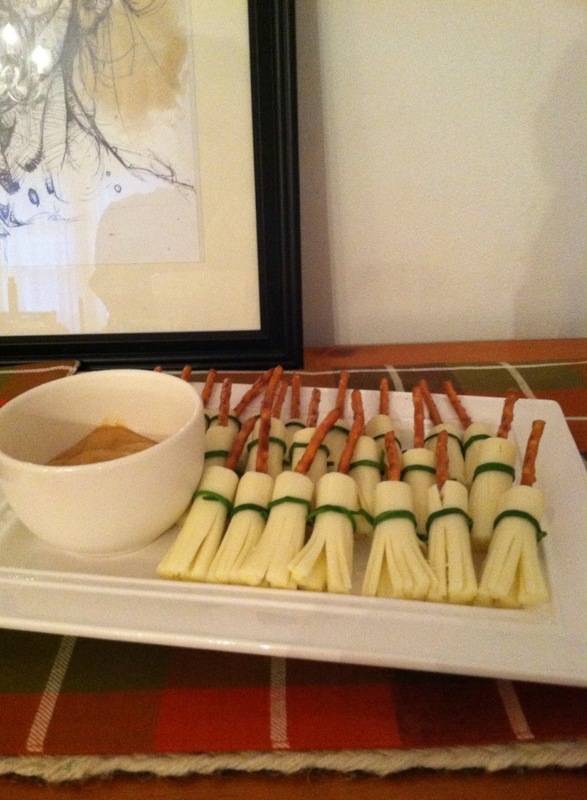 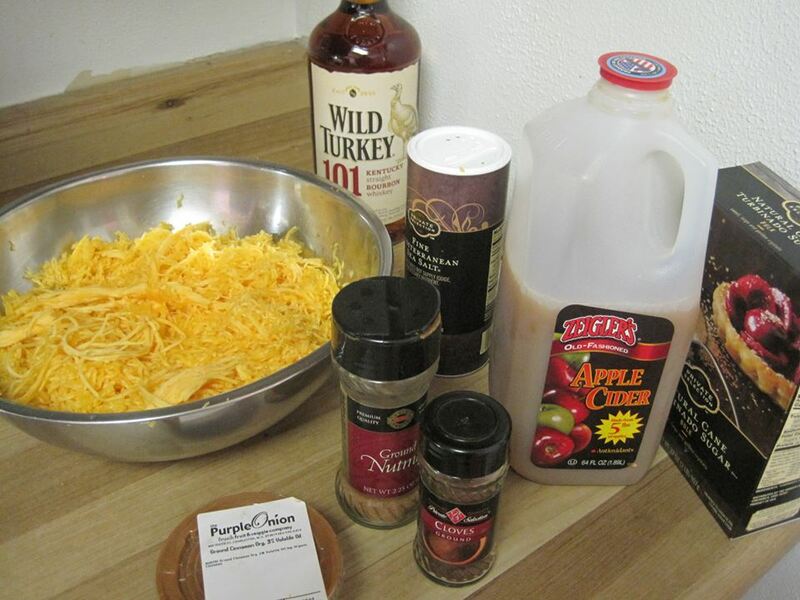 Slice mozzarella cheese and add a pretzel stick. 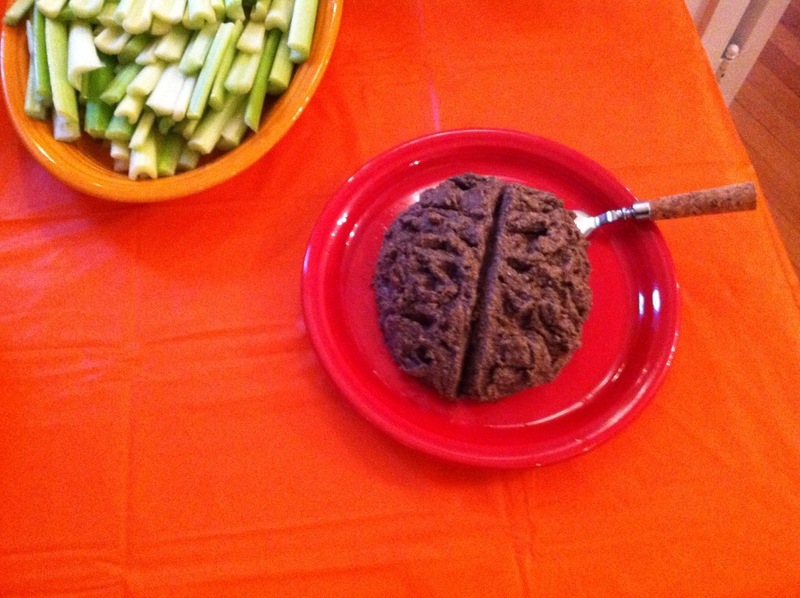 I tied these up with chives and served with mustard. 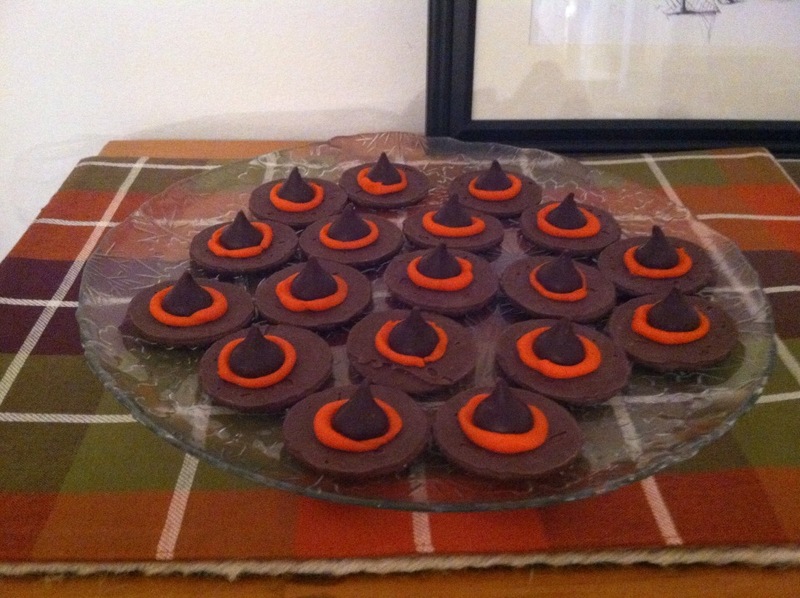 These are Fudge Stripe cookies turned upside down with a little orange icing and a dark Hershey’s Kiss. 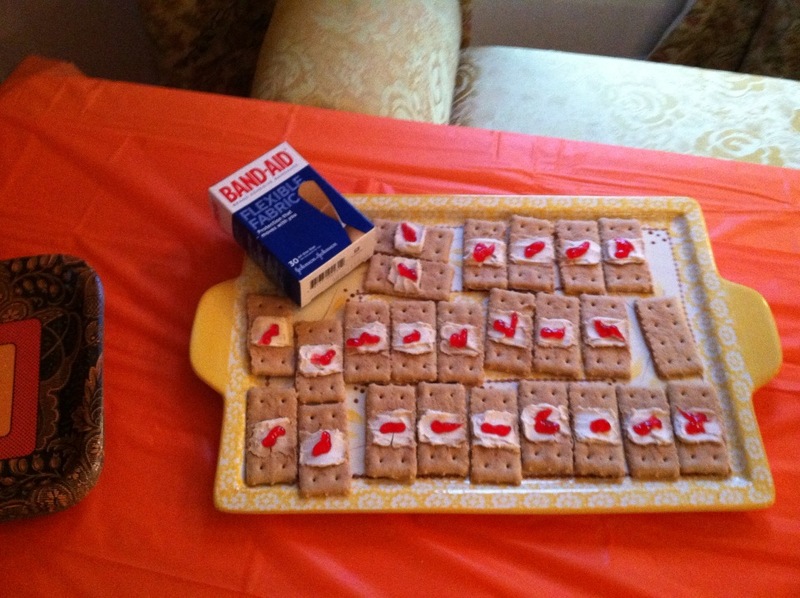 Graham cracker and cream cheese band-aids. 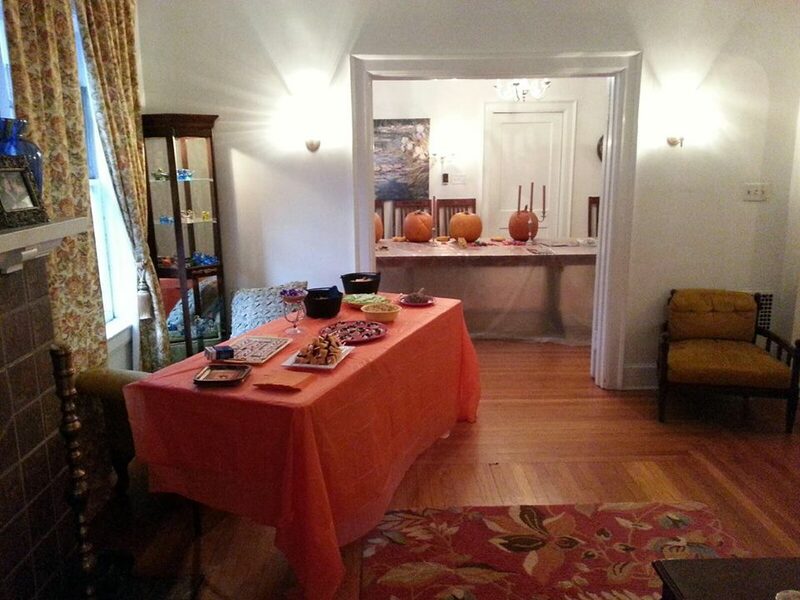 All set up for the carving party. 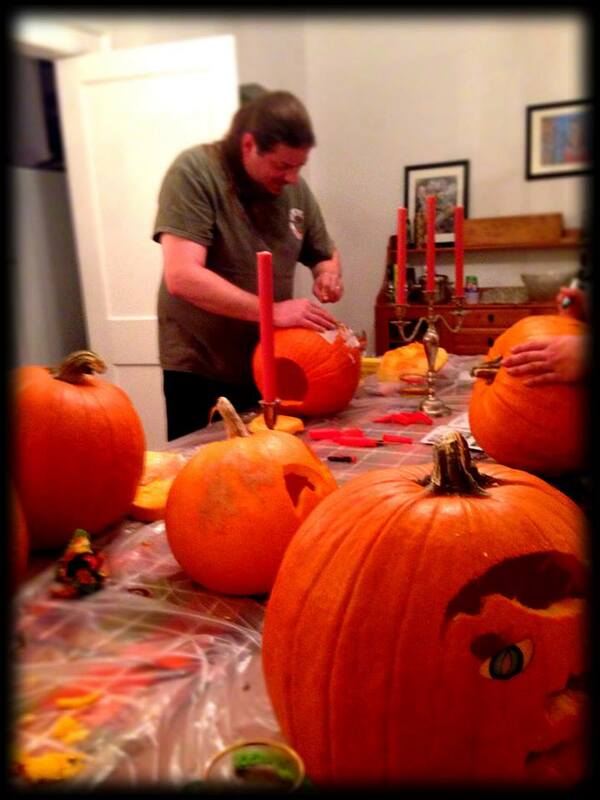 Husband meticulously carving his creation.